Located at the southwest of Beijing’s Fengtai District, Lugou bridge became well-known for its poetic name Lugouxiaoyue (The Moon over Lugou Bridge at Dawn 卢沟晓月) given by Emperor Zhangzong of the Jin Dynasty after he saw the full moon reflected on the Yongding River. Emperor Qianlong then adopted the title and inscribed it upon a stone tablet during the Qing Dynasty, which further spread its fame. The 266-meter-long stone bridge also serves as one of many extraordinary works of architecture in the capital. Shaped like a rainbow, the bridge has 11 arched gates, four Chinese pillars and 485 carved lions placed atop columns. Every Mid-Autumn Day, special festivities such as lantern fairs take place by the bridge to celebrate its history. You can’t have a perfect view of the moon without water, and Shichahai Lake is in one of the oldest lake areas in Beijing. The Yinding Bridge that looms across it is high enough to admire the view of the moon and its reflection on the placid surface. Shichahai has its own beauty and is comparable to Hangzhou’s West Lake and Nanjing’s Qinghuai River. If you want to paddle a boat on the lake on a Mid-autumn Day with mooncakes and tea, it’s advised to book in advance (8322 3344). 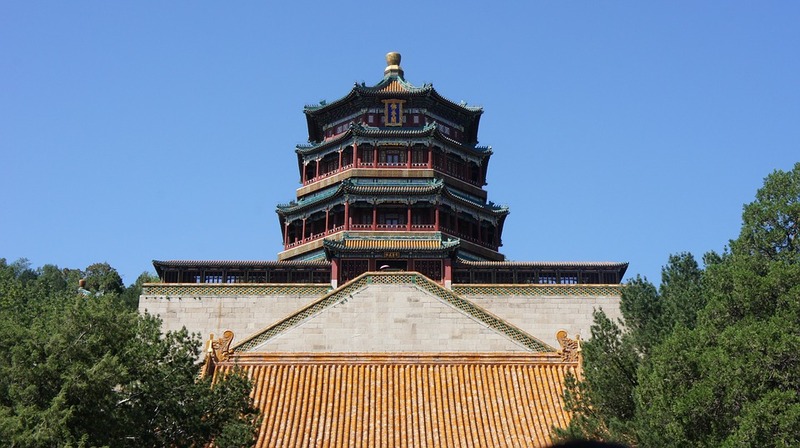 Shichahai consists of three lakes- Qianhai, Xihai, and Houhai- in the north of central Beijing. Built in 1530, Yutan Park was where Ming and Qing emperors used to worship the moon on Mid-Autumn Day. The park has two gardens with beautiful plants and ancient architecture. To celebrate the festival, the park holds various activities and ceremonies each year to promote moon culture. This year, the event will feature lantern riddles, a mooncake display, and a child-friendly exhibition of Lord Rabbit figurines (or Tu’er Ye in Chinese), which is considered to be the mascot of the Mid-Autumn Festival.